I've heard of Quince tree's and bushes and finally decided to give some ago. We'll see how they do, they are difficult to find, Willis Orchards had some and I was luck enough to get a few. Picked up a Red Baron Peach tree too. Historically I don't have good luck with Willis Orchards, though the stock they send is great looking, I think it's just Georgia is such a different soil type and zone than Missouri, the tree's often experience shock, and even though they ship FedEx, the tree's often show up with dried up roots, or budded out and the new leaves dried up, which is disappointing. 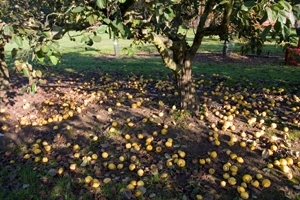 But they are one of the few places that carry Quince tree's so got to try. Stark Brothers is supposed to have some this fall and spring 2020, so depending on how these do, I will keep trying. 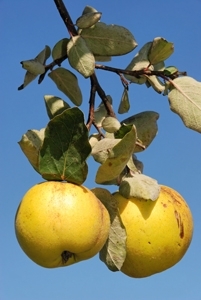 The Orange Quince is a very adaptable growing well in a range of conditions. This tree is just about as hardy as the peach, surviving temperatures as low as 0º F. Its branches will most likely die back if exposed to temperatures below -15º F, though the root will survive. 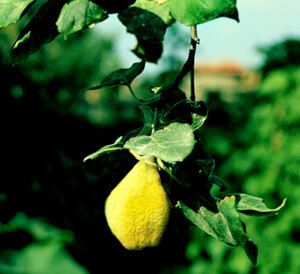 The Quince can grow up to 20 feet high with unusual, crooked branches. They do best grown in moist, heavy soils and are often found in the wild near creek banks making this fruit a delicacy for wildlife. 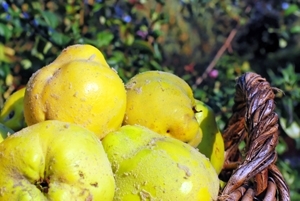 The orange quince bears heavily with large, bright yellow pear shaped fruits that are flavorful and aromatic. 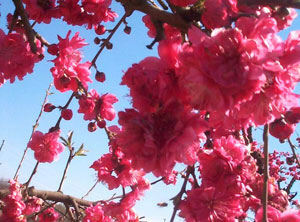 The fruit ripens in October through December and can extend through February in some colder areas. 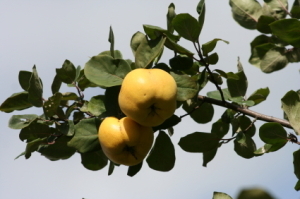 The Orange Quince is a self fertile tree and requires 300 chill hours.